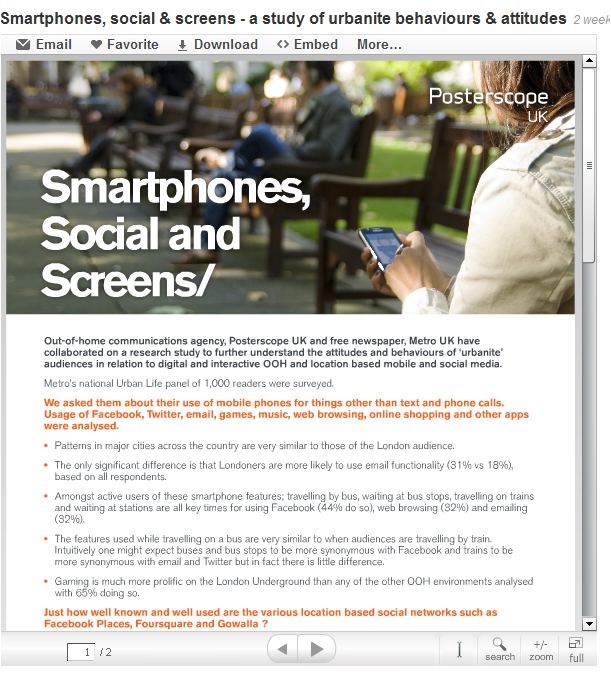 Out-of-Home communications agency, Posterscope UK and free newspaper, Metro have collaborated on a research study to further understand the attitudes and behaviours of ‘urbanite’ audiences in relation to digital and interactive OOH, and location based mobile and social media. 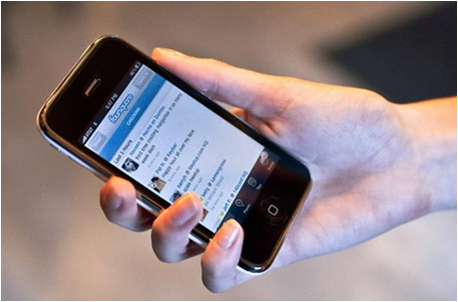 – Usage of Facebook, Twitter, mobile internet and email at bus stops, rail stations and onboard trains and buses. – Awareness, usage and regional differences in relation to Facebook Places, Foursquare, Gowalla etc. – Actions taken (inc. searching online) as a result of seeing an ad on a poster or advertising screen. – Most appealing locations for interactive digital OOH screen installations. – Expectations of digital OOH screen creative (animated, live, socially connected etc). Facebook are conducting tests that involve mobile users checking-in to Facebook Places via Event pages. The check-in icon only shows up on the day of the event and only when users are geographically close to the specified address. This technology, if approved by Facebook, could be perfect for check-ins via experiential activity or posters due to its ‘temporary’ status. As discussed in previous posts NFC (Near Field Communication) provides shortcuts to the mobile web by touching an NFC phone against a tag embedded into a poster and the makers of the Angry Birds game have now developed another application. Players of Angry Birds Magic on a Nokia C7 handset have to find NFC tags or other NFC handsets to unlock new levels by touching their phone against them. This approach of unlocking gaming content through NFC posters gives advertisers another option when wanting to rewarding consumers through advertising. We’ve seen touch screens that are flexible, 3D or even made of ice and now here’s a furry multi-touch one ! Screach (aka Screen Reach) is a mobile app that allows users to interact with digital OOH screens using their phone as a controller. Content options include arcade style games, quizzes, or almost anything that involves using a phone as a remote control. This technology can be incorporated into many OOH screens in locations with 3G coverage.